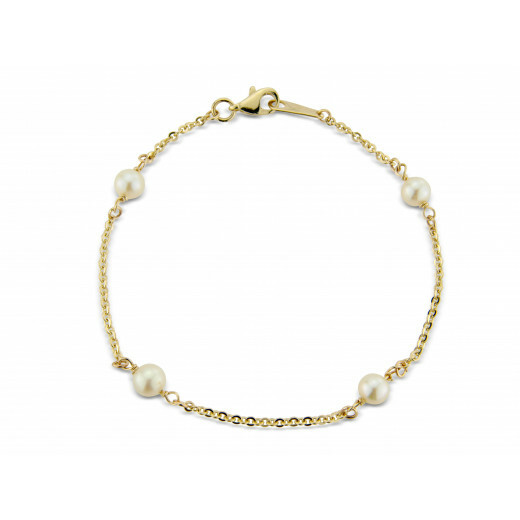 9ct Yellow Gold Bracelet set with 4 white Freshwater Pearls threaded onto a delicate trace chain. 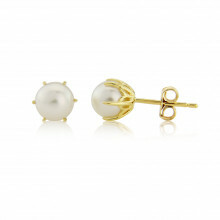 The bracelet is 7.5" so is and is fastened by a lobster clasp: a modern way to wear your Pearls. A matching Necklace is available.